We’ve been waiting for this one… and waiting. 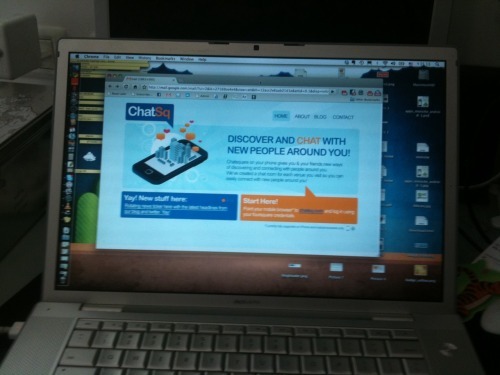 Looks like a small innovations lab called BubbleTree LLC decided to answer the call with ChatSq. The team there is taking a crack at auto-connecting people based on location. Smartly, they are building atop an established behavior (the check-in), specifically of foursquare. Their to-be-released app for iPhone is a little like the old Match Chat desktop product that looked at people’s profiles and dropped similar socialites into a chat room and said, “go!” Only now it can be based on who’s here with you in thisverybar/club/restaurant. It’s the logical next step, and frankly not the first, but the first we’ve seen with the popular check-in service.